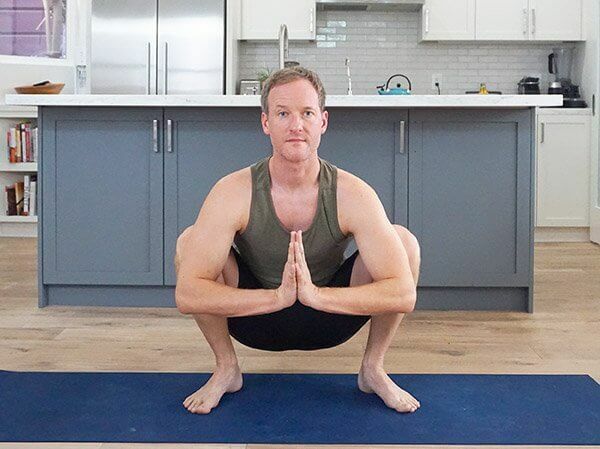 Since the spine and pelvis work best when they’re both sharing the same set of motions, I want you to experiment with lifting the sitting bone that you’re moving away from when you do Parivrtta Janu Sirsasana. You read that correctly. Experiment with lifting the opposite buttock slightly instead of pressing it down so that your pelvis can rotate laterally over your thigh bones slightly. You’ll still receive a big ‘ole side-stretch, you’ll produce more length in your spine, and chances are that you’ll reduce excess compression in the lower back and sacroilliac region on the side that you’re moving toward. In short, you’ll probably like it. A lot. If not, feel free to press both sitting bones down and keep it old school. Use the illustration above to hone your pose and experiment with changing the alignment of your base. Enjoy. 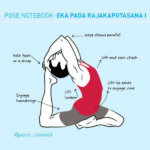 You can find a fully-illustrated, 16-pose sequence for Parivrtta Janu Sirsasana here. WHERE CAN I LEARN MORE ABOUT ANATOMY, SEQUENCING, AND TEACHER TRAINING? Sign up for Jason's newsletter to find out when our free sequences, teaching tips, and inspiring essays go live! Some teachers tell students not to “squeeze” or “grip” their gluteal muscles (or glutes) in backbends because this will compress the sacrum and lower back. 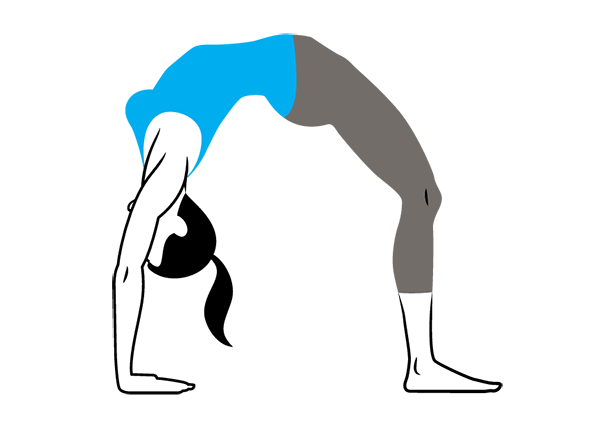 Others say that it’s essential to use the glutes in backbends. What do you recommend? The gluteal family is composed of the gluteus maximus, gluteus medius, and gluteus minimus. When teachers talk about engaging the glutes in backbends, they’re referring to the gluteus maximus. When we engage the gluteus maximus—particularly the lower fibers near the hamstring insertion—these muscles extend the hip-joint. This is a good thing because we want the hips to extend slightly when we do backbends in order to help decompress the lumbar spine. 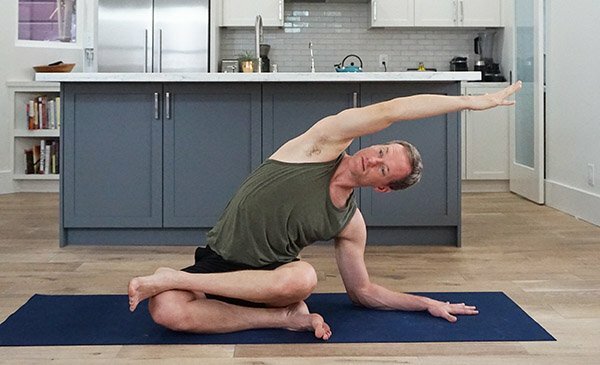 Gluteal engagement also helps stabilize the sacroiliac joint—which is valuable because so many long-time yogis have hypermobile and unstable SI joints. But, let’s answer the question with a little more nuance since some backbends are enhanced by gluteal engagement and others are not. 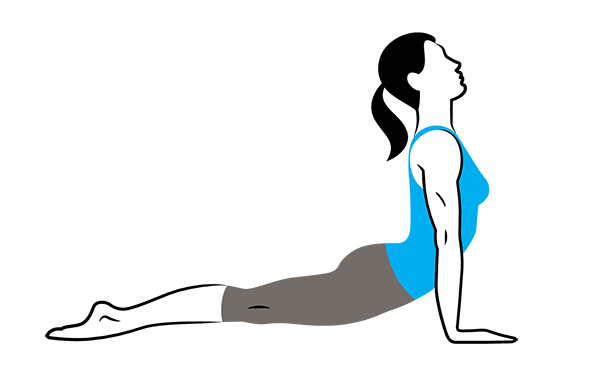 Prone backbends like Locust and Cobra Pose probably don’t benefit as much from gluteal contraction because the weight of the pelvis rests on the floor during these postures. This means that you don’t need gluteal strength to lift the pelvis because it stays on the ground in the pose; you also don’t need the stabilization that the glutes provide because the pelvis is supported by the floor. In kneeling backbends like Camel Pose and supine backbends like Bridge Pose and Upward Facing Bow Pose, gluteal engagement is more helpful. These postures produce a greater degree of spinal extension so it’s even more important that the pelvis and spine move cohesively. Engaging the glutes near the hamstring insertion, will help maintain this balance by rotating the pelvis slightly back over the top of the legs. This will help reduce lumbar compression—the feeling of your lower-back “crunching.” Even more, the glutes help lift the weight of the pelvis in supine backbends. If you don’t use the glutes in these postures, you might unnecessarily burden less efficient muscle groups. Some teachers and students are concerned that using the glutes will make the knees splay too far apart. This is a legitimate concern, but it’s easily managed. All you have to do in this situation is co-contract the muscles that line the inside of your thighs, the adductors. Firing the adductors while you engage your glutes will keep your thighs nice and neutral. 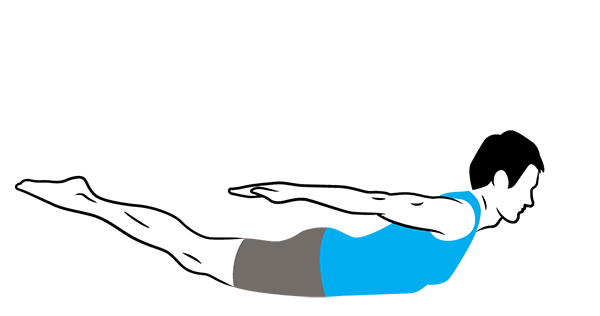 In the poses that follow, the prone (face-down) backbends are instructed with passive glutes, whereas the kneeling and reclined backbends are instructed with active glutes. 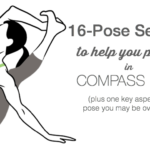 I encourage you to experiment in these postures and observe what works best for your body. Lie down on your belly. As you exhale, lift your upper-body away from the floor. Root down through the top of your feet and ground the top of your smallest toe. Keep the glutes passive and focus on the work of your spinal muscles. Again, start on your belly. 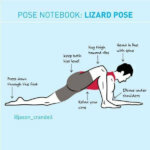 Place your hands on the floor on either side of chest. Press down through the tops of your feet and your pubic bone as you partially straighten your arms. 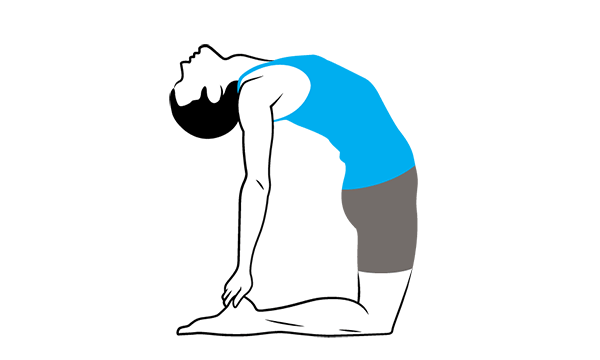 Draw your shoulder blades down your back and hug your elbows toward your sides. Keep your glutes passive and allow your spinal muscles and arms to guide you into the posture. Come into Upward-Facing Dog from Chaturanga. Once you’re in Updog, allow the glutes to be relatively passive. Focus on grounding down through your fingers, hands, and feet while lifting your thighs, hip-points, and chest. Lie on your back, bend knees and place your feet flat on the floor, close to your hips. Separate your feet hip-width. You can either keep your arms by your sides or clasp your hands underneath your buttocks. Press down through your feet and raise your hips. Your glutes will fire to help raise your hips. Gently engage your inner legs by imagining that you’re squeezing a block between your thighs. Take your hands to your heels, lift your chest, and lengthen your breath. If there’s a block between your thighs, squeeze it firmly. This engages your adductors and keeps your thighs parallel to each other. Lie on your back like you did for Bridge Pose. Separate your feet hip-width. Lift into the posture on your exhalation. Once you are in the posture, bring your awareness to your glutes. Given the demand of the posture, your glutes will be firing. Feel the support that they’re providing while being mindful to simultaneously engage your inner thighs by hugging them toward your midline. This post was originally featured on yogaglo. 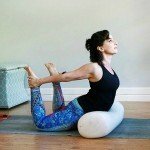 Please visit yogaglo.com where I offer online classes as well as e-courses focusing on sequencing and anatomy. I struggle with tight hips and I want to learn Lotus Posture (Padmasana). 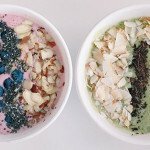 Can you suggest a yoga sequence that will help me open my hips and do Lotus Pose? 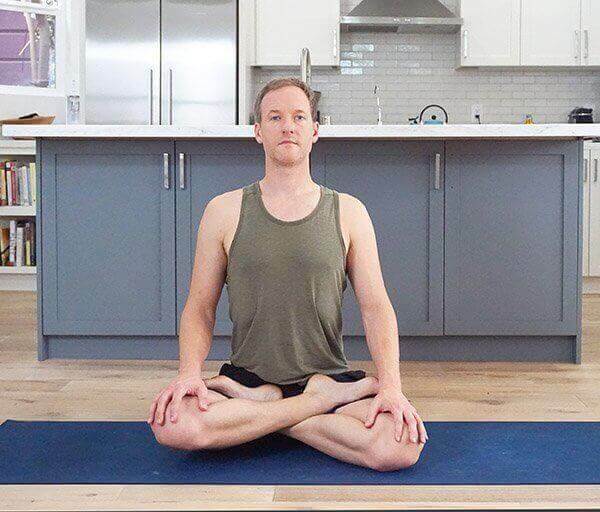 There’s a common mistake many of us make when trying to grow a Lotus (Padmasana yoga pose): We focus too much on stretching the outer hips and forget to open the other muscle groups that make up the hip joint. Don’t get me wrong: the outer hips usually need plenty of help. But, the key to freedom and balance in your hips is working with all the muscle groups that affect the joint, not just your bum. The following sequence will make your hips be happier and healthier — and, if anything is going to help you sit in Lotus, it’s this practice. These muscles cross over the front of your hip joint and flex the hip. These muscles that line the inside of your upper thigh are usually left out of hip-opening yoga sequences. If these muscles are tight, your knees will remain far away from the floor when you attempt Lotus. These muscles need to be supple so that the thighs can drop as you fold your legs into Lotus. The hamstrings are not a significant factor in Lotus and they’re not usually thought of as hip muscles. However, they originate on the bottom of your pelvis, cross the back of the hip socket, and run down the back of your leg. The primary joint that they work on is the hip joint. This means that a balanced hip opening sequence will include postures that release this group of muscles. Describing the Gluteals and their functions in a few words is tough because this family of three muscles does a lot of different work. Suffice it to say that we tend to think of this region when we think of hip openers. 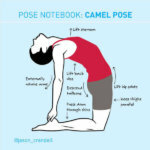 This is the bittersweet part of the body that we stretch when we do Pigeon Pose. Targeting this region is another key step in releasing hip tension and developing Lotus Pose. These muscles run from the outside of the hip, cross the outside of the hip joint and attach to the outside of the thigh. Since this region is harder to get good leverage on than the external rotators, it is often short-changed in hip opening sequences. It’s a good idea to warm up for this sequence with 5 to 15 minutes of Sun Salutations. Focus on rooting down through the top of your back foot and lifting up through your hip points to get the most from this hip flexor opener. Maintain mild abodominal engagement while you do this pose. 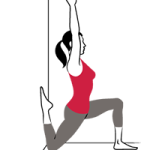 This posture continues the hip opening that began in Anjaneyasana and digs deeply into the quadriceps. This wide-legged standing forward bend stretches your hamstrings and adductors. It also prepares you for the more intense squat that follows. This is the most effective standing posture for releasing tension in the adductors. Use forearms to press your thighs away from the midline to intensify the stretch. This version of Pigeon will help you access part of your adductors and external rotators and lead to more comfort in Lotus. To be effective, lift and turn your torso toward your front leg. Use your hand to pull strongly against your front knee. To make this posture most effective, be sure to place your top ankle on your bottom knee and flex your foot. Start with both legs straight in Staff Pose. Bend your right knee deeply and bring your right heel to your sitting bone. Do NOT simply bend the right knee and drag the foot into Half Lotus. Instead, fully flex the right knee first–without externally rotating it. Now, that your right knee is fully flexed, externally rotate and abduct your right knee. Then, bring your leg into Half Lotus. If your right knee is comfortable in Half Lotus, proceed to Step 5. If not, take your leg out of lotus and work on any of the above postures that felt the most necessary. If your right knee is comfortable in Half Lotus, bring your left leg into Full Lotus. Make sure to place your feet high enough on your thighs to prevent your outer-ankles from over-stretching. Take a few breaths before repeating on the other side. Common wisdom tells you to work daily on the yoga poses that bring up resistance and challenge you. Personally, I’m okay with this sentiment—after all, there’s plenty of value in exploring the edges of your comfort zone. As a practitioner and teacher, though, I tend to emphasize the opposite—I choose to indulge the postures that I love with egregious frequency. I encourage the teachers that I train to do the exact same thing. 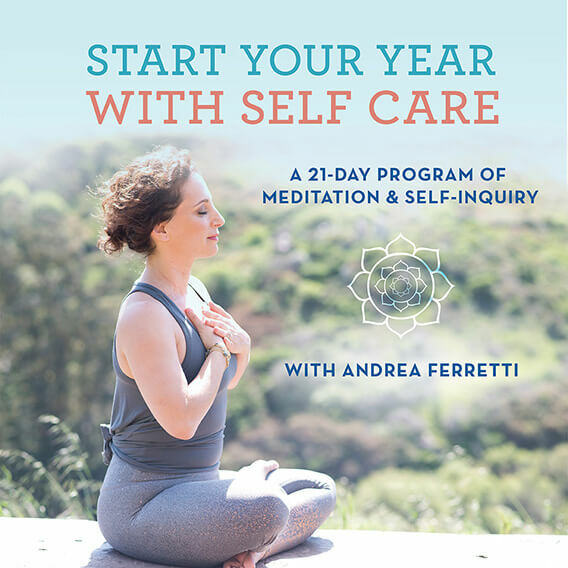 We love the poses that we love for good reasons: they awaken us, they ground us, they soothe us, they challenge us, and they nurture our mind’s ability to focus and settle down. 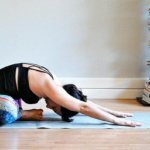 These five yoga poses come up time and time again in my classes because I’m shamelessly enthusiastic about them. Yep, that’s right, I find Urdhva Dhanurasana deeply soothing. Yes, I’m aware that everyone and their cousin goes on and on about how uplifting and energizing backbends are. But, honestly, my experience is the opposite. A nice, strong Urdhva Dhanurasana (or 2, 3, 4, 5, or 6) actually cuts through whatever narrative my mind is engaged with, focuses my attention, and burns off whatever anxiety I may be experiencing. Urdhva Dhanurasana is never easy for me, but it’s always settling. Paschimottanasana bums me out. I’m always prattling on about integrity of movement being more important than range of movement. Even though I firmly believe this, the first thought that runs through my head when I practice Paschimottanasana is, “Ugh. Is this really as far as I can go today?” This pose continues to reveal how judgmental I can be toward myself and provides me with the opportunity to let go. 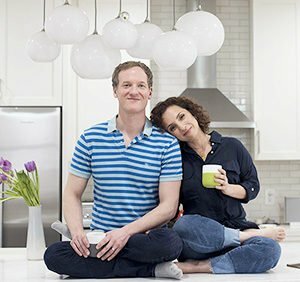 The bittersweet release of Pigeon Pose is undeniable. 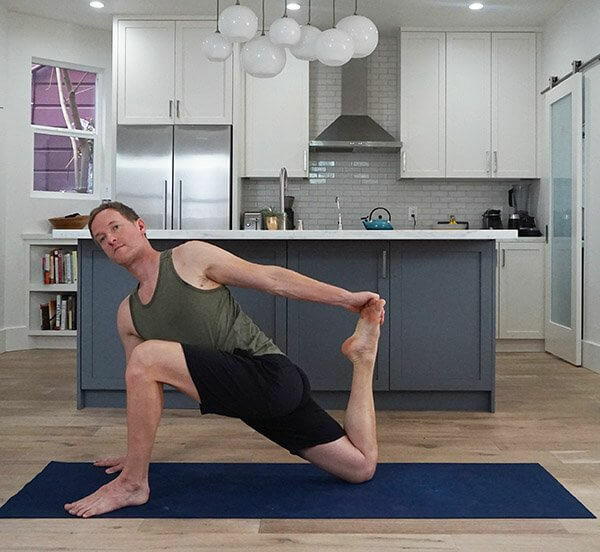 While the big, tension-busting stretch in the outer hips steals the show, the posture has another component that helps produce a grounding effect: The vast majority of your body is laying on the floor when you do the posture. Sure, it’s intense for many, but the intensity is always local. The majority of the body has the opportunity to drop, release, and let go into the floor. There’s a saying in England that black tea wakes you up if you’re tired and quiets you if you’re unsettled. My experience of Handstand is the exact same. 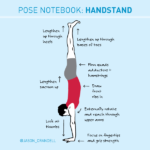 If I need an uplifting boost of energy, practicing Handstand does the trick. If, on the other hand, I’m overstimulated, a minute or two in Handstand grounds my energy and rebalances my mood. Oh, the poor side body. It can be challenging to access and rarely gets treated to elongation in day-to-day life. Even in asana practice the side-body rarely gets the TLC that the hips, shoulders, core and spine receive. Thankfully, Parivrtta Janu sirsasana digs deeply into the side-body and wrings out tension. When I do this pose I literally have to will myself to get out of it. I want to stay there, nestle in, and take a nap. I’d love to hear from you. What postures are keeping you calm, grounded, and sane these days? 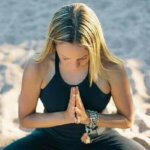 I have been so busy working on the Yogaland Podcast in the past year that I haven’t had much time to blog. I miss it and I miss you! I have grand plans to get back to it and to create more content this year that will serve you. And so. I am making this commitment to myself and to ALL OF YOU(!) that this year I am NOT completely tossing my practice aside during those times when my schedule becomes excessively wacko or “I don’t have enough time.” I’m gonna try to be a self-care ninja and craftily fit it in where I can. Lately, I have been surviving on pranayama. When things are going well in my life, a standalone breathing practice is the first thing I toss out the window. 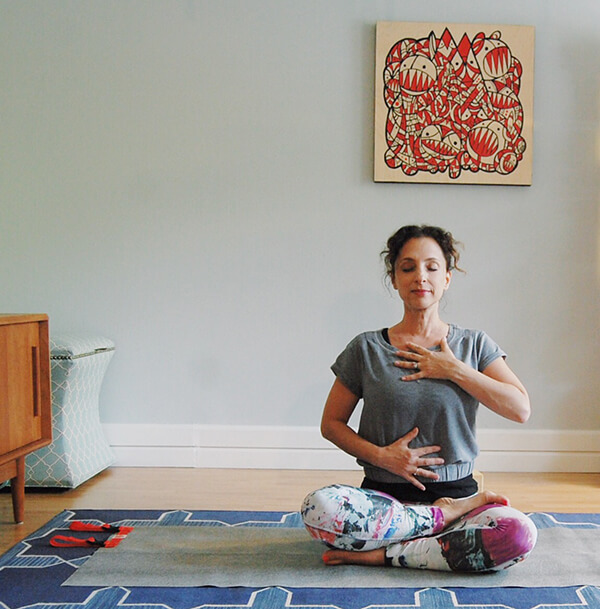 It’s not conscious — it’s simply that I’m breathing mindfully during asana and calming my mind during my meditations. So, it seems like it’s all covered. But when things get exceptionally busy (and I won’t bore you with the details but I’ll just say that a kitchen leak has kept us out of our house for SEVEN WEEKS), pranayama breathing is a godsend. It feels like the perfect bridge between asana and meditation. It channels the prana through my body (like asana) and it settles my energy and thoughts (like meditation). It feels so familiar — because after all, we breathe all day long! But it also feels so special to just take a few minutes to witness this simple act that keeps us alive and ticking. Here’s the other thing: It’s so portable. I have done pranayama practice during long meetings! Alone in my cubicle! During tense dinners with family! On boring dates! But, admittedly, if you’re just starting out, it’s best to set aside 5 minutes of ideally quiet, alone time to practice. Lately, pranayama breathing has given me an energy buzz when I need it, a sense of warmth in my heart when I feel cold and paralyzed, or space between thoughts when I’m anxious. There are SO MANY pranayama breathing practices – some are more energizing (like kapalabhati) and others more soothing (nadi shodana). For me Viloma, aka Stop-Action Breath is my go-to to cultivate evenness and balance. 1. Set a timer (that’s not too loud) for 5-6 minutes. 2. Find a comfortable seat – either cross-legged on the floor or on a chair with both feet touching the ground. Place one hand on your belly and the other on your heart. 3. Take a minute to deepen your inhalations and exhalations and to just “warm up” your breath. 4. Then inhale completely, feeling your belly, diaphragm, and ribs expand. 5. Now exhale one third of your breath. Pause. Exhale two-thirds. Pause. Exhale completely. 6. Repeat this cycle until your timer rings. As you inhale, try not to force the breath. Make each part of the exercise light and easy. Feel the beauty and simplicity of the life force in your body. As you exhale, imagine a sense of grounding and rooting through your tailbone into the earth. If you feel strain at any point, return to simply watching your breath. For some people, it helps to retain the breath for just a few seconds before the exhalation. I tend to do this in the last few minutes, when I’ve warmed up a bit. It’s definitely not something to force. Ideally, when your alarm sounds at five minutes you’re breathing a little more deeply and feeling more clear, grounded, and energized. Hope this makes your day a little better. And I’d love to hear what your go-to pranayama breathing practice is in the comments below!